Abductors of the wife of Mr. Effiong Ekereke, a senior Independent National Electoral Commission (INEC) official in Akwa Ibom State have reduced their ransom to N1 million. Mrs. Ekereke, a senior nursing officer, was kidnapped on New Year day by suspected hoodlums at her home in Ikot Akpankuk, Ukanafun local government area of the state. 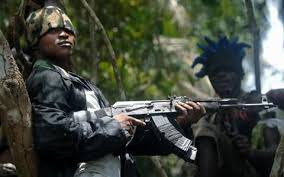 TheNation gathered that the kidnappers had initially demanded N10 million as ransom before they could set the woman free.